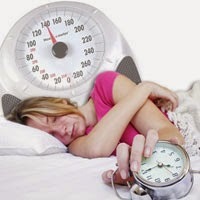 Home Obesity Sleep And Obesity Is Sleep The Key To Tackling Obesity? Is Sleep The Key To Tackling Obesity? The focus in the fight to tackle obesity tends to be diet and exercise. But what about sleep? In this week's Scrubbing Up, Dr Neil Stanley argues getting a good night's rest is just as important. The conventional line is that this is because we are all victims of the "aggressive advertising" and "easy availability" of sugary and fatty foods and/or that we are addicted to computer games / TV / Facebook etc. Perhaps there is some other reason why the "eat less, move more" advice is not working. "They haven't even appointed a scientist off the telly as a 'Sleep Tsar'" What if we simply cannot help ourselves? And that, from a physiological point of view, we actually crave junk food and don't want to exercise? Poor sleep can damage mood, concentration, energy and even relationships Try avoiding key things that make it hard to sleep such as a bedroom that's too warm Creating a personal sleep profile can help you manage your body clock effectively. Five things that stop a good night's sleep Research suggests this causes 24% higher feelings of hunger, a 23% increase in overall appetite but a 33% increased desire for high-fat, high-carbohydrate foods making us feel that we have had insufficient food and thus encouraging us to increase food intake.